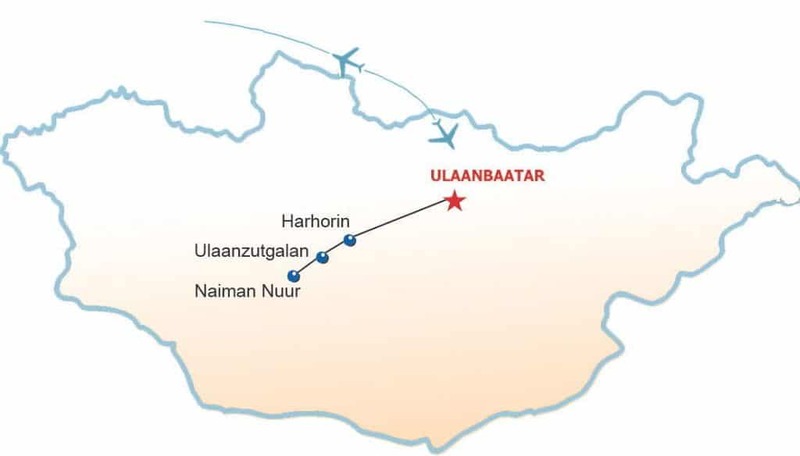 Departure from Europe to Ulaanbaatar/Chinggis Khan Airport. Morning arrival at Chinggis Khan Airport in Ulaanbaatar, transfer to the hotel, after short break at airport we will drive for 2 hours to Khustai Nuruu National Park, there is a project for reintroducing the "Przewalski Wild Horse" (called "Takhi" by Mongolians, which is the one of ancient wild horses) back to their native land. In the afternoon from our base ger camp Extra Ger (managed by local nomads) we will hike to water place of Takhis (approx. 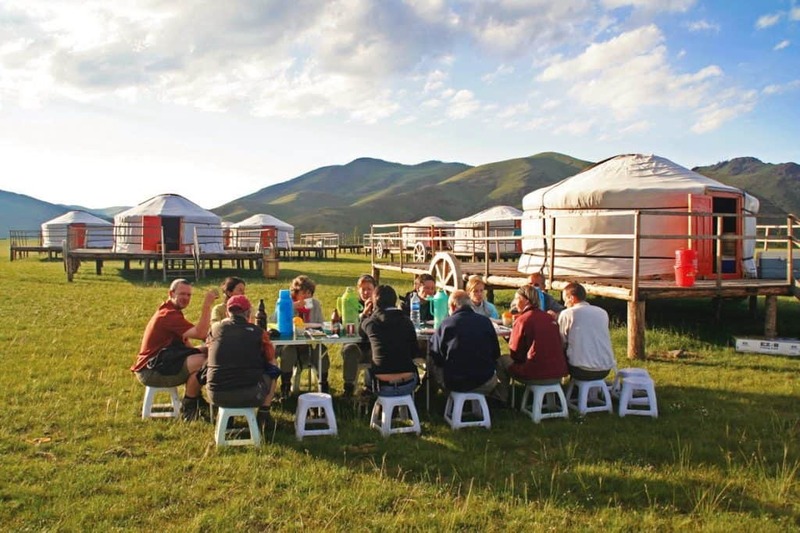 15 km), back to ger camp we will drive by our car, in the evening traditional Mongolian cuisine with the first night in Mongolian ger. In the morning we will drive to the ancient capital of Mongolia, Kharkhorin, on the way we will pass the nature park Khugnu Khan, famous for its beautiful semi-desert landscape, hiking to the Uvgunt Temple Ruins in the valley of Khungu Khan Mountains (approx. 10 km). 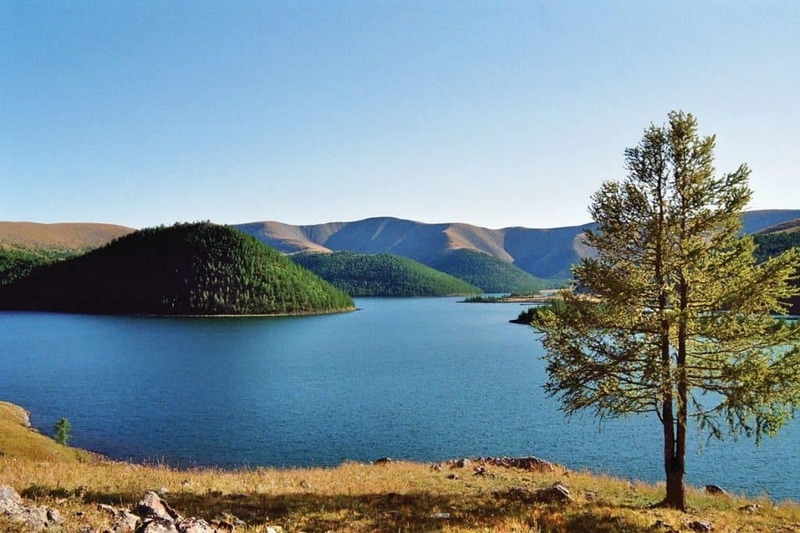 In Kharkhorin we will visit the monastery of Erdene Zuu (UNESCO World Heritage Site) and archaeological excavations of the palace of Uguudei Khan, in the evening folklore and stay overnight at ger camp. Trip to the largest and most beautiful waterfall Ulaanzutgalan, on the way hiking to the temple Tuvkhun (UNESCO World Heritage Site) on the mountain peak, from the eastern side over the mountain to the west (approx. 25 km), in the afternoon continue our drive to extra gers by waterfall. Today we begin our hiking tour with pack yaks in the beautiful mountain landscapes of the Khangai National Park to the lakes Naiman Nuur. 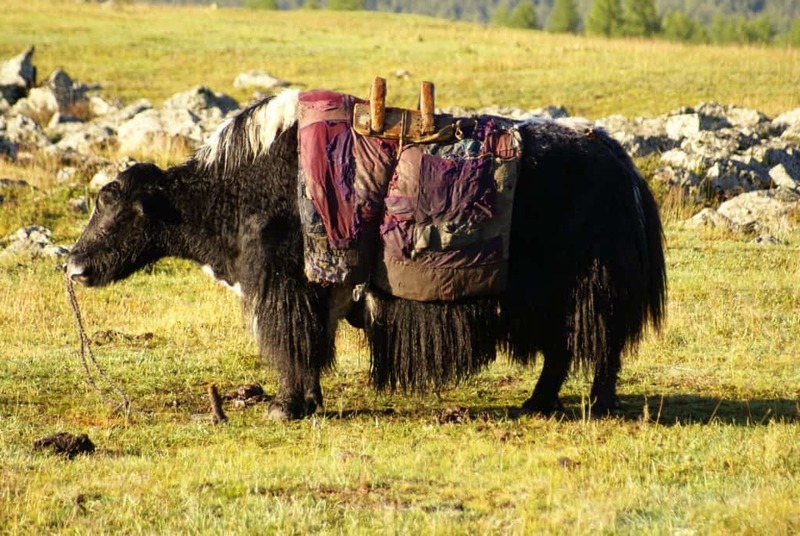 On the way we visit the nomadic families, where we will learn about the yak milk products and daily life of nomads (approx. 30 km). Stay overnight in the tent. NuurIn the morning we hike toward to the eastern lake Khuis Nuur over pass Bodonchiin (approx. 30 km), stay overnight in tents at the lake. We hike to the largest lake Shireet Nuur, on the way we visit the other lakes. Late in the afternoon we will return to our base camp at the lake (approx. 25 km). In the morning, we hike back to the waterfall, on the way stay overnight in tent near by nomads (approx. 30 km). Today, in the afternoon, we will reach our extra gers (approx. 30 km), in the evening farewell dinner with our local guide. Morning drive back to Ulaanbaatar, in the late afternoon we arrive at the hotel of the city. We will have time for shopping in State Department Store for Souvenirs, in the evening farewell dinner with folklore.